The results of 7th voting are here! There is no winner. Unfortunately none of the cryptocurrencies reached the minimal amount of votes. 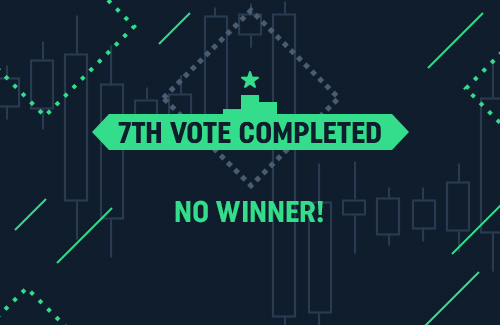 The 7th voting conducted on CoinDeal - a cryptocurrency exchange platform, has just ended. Unfortunately, we have some, rather unexpected, information for you. None of the cryptocurrencies reached the minimal amount of votes. ” system. As a reminder, the 8th voting will last for 4 weeks. The minimal amount of votes needed is 1200. Two first cryptocurrencies with a result about 1200 votes will become winners and will be implemented on CoinDeal to trade.